I haven’t played ‘WoW’ in a year or so. What can I say, it just lost its appeal. I didn’t have time to do the end game content, and going back and creating yet another alt didn’t hold any appeal to me. But I’m coming back for ‘Cataclysm,’ and these screenshots just guaranteed that my name will be on the preorder list too. There are a lot of subtle touches to some zones, which were left largely unchanged, but others underwent drastic transformations. 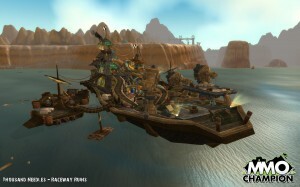 It’s not the first time an MMO expansion changed the landscape, but this is by far the biggest. It’s also fairly unique in that it changes things for every single player, whether they’re at level 80 or starting again from level one. All of the original zones are being changed, quests being redone, and new features being added. It’s a pretty big deal. The whole thing came about in the usual way. A dragon went to town on the world, and changed the landscape forever. It’s pretty cool though, since it’s a dragon last seen in ‘Warcraft II,’ which was released back in 1997. Thousand Needles is a perfect example of the change. It used to be a barren desert. You’d take an elevator down into the valley and wander, surrounded by hundred foot high pillars of stone. 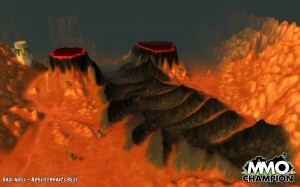 But it’s going to be flooded in the Cataclysm, and it takes on a whole new look. MMO-Champion has tons of screenshots of the different zones that were leaked from the Friends and Family testing. 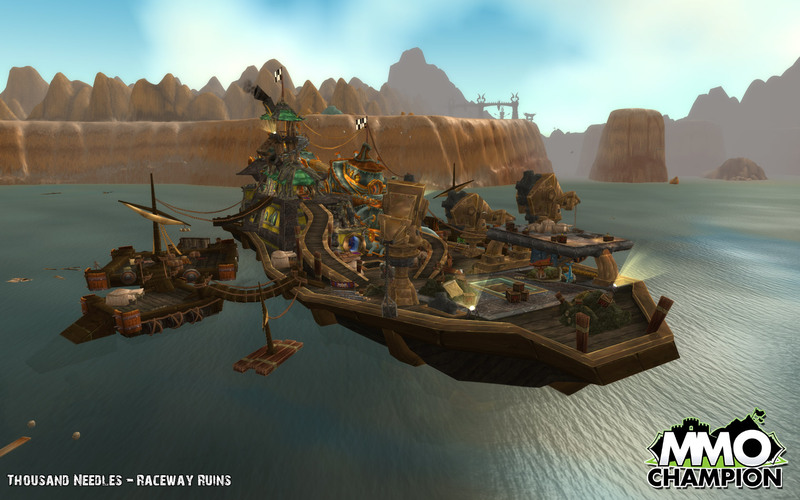 You can check out new zones, revamped versions of old zones, and the ultra-cool Goblin car. MMO Champ actually removed the photos yesterday due to a request from Blizzard.